"You will not exit this gripping book this same way you came in," says all- time professional basketball superstar Julius (Dr. J) Erving about the recently released book Return to Glory, which highlights significant accomplishments of African descendants since the dawn of civilization, exposes racist distortions and cover-ups of those achievements, analyzes examples of African American success stories and offers a process for individual healing, hoping and cross-cultural understanding. Return to Glory calls for African Americans return to their pre-slavery historic greatness. It is written in a reader-friendly format with "time out" questions at each chapter’s end for reflection, personal analysis and application for action. Aimed at informing, building self-esteem, and mentoring black young adults as future leaders, Return to Glory is believed to be the first such book directed at this important "neglected generation" audience co-authored by a black man and a white man. Co-author Don B. Griffin, who is African-American, has been the top human resources executive for a 350 million dollar corporation in the metro New York area, an historian and public popular speaker on Christian living and biblical applications for contemporary family life. Joel A. Freeman, a White man with a Ph. D. in counseling, has been chaplain for the NBA’s Washington Bullets / Wizards for 19 years ('79-'98), is president of The Freeman Institute™ management consulting firm in Maryland, coaches executives in their personal lives, and has authored four other widely acclaimed books. Plus Dr. Freeman facilitates a seminar program entitled: "A White Man's Journey Into Black History". Entertainer and educator Bill Cosby says, "Return to Glory offers young people an opportunity to see history and themselves in a new light. By exposing the deception is that we have come to accept as truth, Joel Freeman and Don Griffin challenge young people to think about who they are and what life is truly about." Dr. Ben Carson, Joe Frazier, Tony Campolo, Tony Evans, Bishop Porter (Promise Keepers), Lenny Moore, Melvin Forbes and many others have enthusiastically endorsed this book project. The 184-page reader-friendly book, subtitled "The Powerful Stirring of the Black Man", is available in general market and religious bookstores and through the Internet -- an American book with a unique international message. Return to Glory is an essential tool for helping solve America's pervasive and vexing problems of racism. "Far too few men and boys -- both black and white -- are aware of the true nature of African-American heritage and of their immense potential for personal greatness in years ahead". Don Griffin’s first half of Return to Glory begins by calling the historical "theft" of black historic contributions to civilization "the greatest rip-off of all time" because their true history was, in effect, stolen. He verifies that black Egyptians were the first people to invent science, engineering, and writing and to discover medicine, architecture, astronomy, agriculture, and much more. Yet, the heinous practice of slavery was justified in later years by a massive campaign of fabrications and deceit about black intelligence. 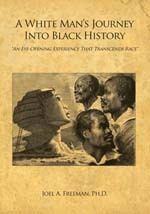 After citing highly credible "eyewitness" sources such as Herodotus and Diodorus for historical verification of accomplishments by black Africans, Griffin (15 pages of research notes in the rear of book) documents how "racism played far too big a role in the writing of black and African history." In the book’s second half, Joel Freeman analyzes and describes destructive effects of racism on both the individual and in the American society. He takes the Return to Glory reader through a logical process of addressing racism: recognition, denial, anger, despair, resilience, and finally, developing a personal strategy for overcoming it. He describes and analyzes several experiences of successful African American men who have triumphed over racism by strong faith in God, resolve, education, hard work and family loyalty. Freeman asked these men about "The Moment" when they first realized they were considered "of less value" by some people just because of their skin’s color. Each man could recall, that moment -- an early life experience -- with painful, vivid detail. In the final chapter, Freeman suggests that White readers give another copy of Return to Glory to a Black friend or associate as a statement of willingness to initiate improved understanding, empathy, healing and dialogue. The book calls for trust in and obedience to God and commitment to spiritual values to enhance self-worth as the first step for a "return to glory" of Blacks’ splendid and historic past. An excellent mentoring / education tool. The 45-minute film version of Return To Glory has been completed in the DVD format. Our goal is to donate a special DVD version to every juvenile detention center, prison and school (Middle, Junior High, Senior High, College, University) in America. Our youth need to be educated. We want to do our small part to help with this education. How can you help? In August, 2002 all of the Kings and Queens of Africa were invited to attend a Pan African Conference in Benin, West Africa. Dr. Freeman participated in this event. This convention opens the door to distribute the international PAL video version of the film to the entire continent of Africa. With the French and Portuguese translations this will be possible. How can you help financially to facilitate this remarkable opportunity? If after reading the book you would like more information about participating in the funding of the distribution of this film in your region of the world, check out the open letter inviting your participation. Also you can check out the web site (click below) totally dedicated to the making of this film. The 4-CD Audio Book Version of Return To Glory! 140-Minute Video -- "A White Man's Journey Into Black History"
4. What's God Got to Do With It? 7. Lord, Don't You Care? 10. What's Up With The Cover-Up? "W h a t F o l k s a r e S a y i n g"
"Return to Glory offers young people an opportunity to see history and themselves in a new light. By exposing the deceptions that we have come to accept as truth, Joel Freeman and Don Griffin challenge young people to think about who they are and what life is truly about." "The book you now hold in your hands is the product of much research. I encourage every African American to read this powerful book. Don and Joel have captured the essence of the pain of the black experience in America and have given us a road map to wholeness. You will not exit this gripping book the same way you came in. I also encourage every non-African American interested in racial healing to read Return to Glory. It will enhance their understanding of what people of color deal with on a daily basis." "Don Griffin and Joel Freeman have courageously revealed some little known facts that I think are relevant to the psyche of all Americans. With the ever-rising tide of suicides among African American males and other societal reflections of low self-esteem, this work is very timely and should provide all of us with pride and a desire to work together for the good of our entire society." "Return to Glory packs a powerful punch! It’s a must-read book for the youth of today. It tells it like it is from the root to the fruit. It’s a true champion." "Return to Glory takes African Americans on a high speed trip to consciousness, history and self-worth…The work should serve as a component for the rites of passage to every young African American male who is in search of their heritage and destiny. With every turning of the page the reader is brought closer to enlightenment." "Joel Freeman and Don Griffin have dared to navigate, those of us who really care about truth, through the often uncharted waters of race and healing. This well-written collaborative effort will do much to fill the void that is keeping a community from reaching its full God-given potential." "It’s about time we had a book like this! It is going to be hard for some of us to read this because the truth is always hard to face up to in real life. But this is a real life book about how a nation conceived in liberty and dedicated to the proposition that all men are created equal have dealt with their African American brothers. Understanding what is wrong is the first step to reconciliation and hope." "We whites have done terrible things to black people, and racial friction in America is part of the price we must pay. It does no good to blame our ancestors; if we in this generation would only do what is right and just, friction between the races would end quickly. But how to change deeply ingrained patterns of thought, that is the problem. The place to begin is knowledge. To the extent that we know the truth, we are freed to change our ways. Return to Glory offers illuminating insights into the past. The book will do more than boost the self-esteem of African Americans. It will enlighten us whites and, one may hope, free us from the tyranny of ignorance and prejudice and cruelty." "Outstanding, Intriguing, Informative! This dynamic book will serve well in reaching our young minority men. Thank you Joel and Don!!!" "Return To Glory packs a powerful message. Regardless of your race, you cannot read this entire book and remain the same." "One of the most impactful ways that we can invest in the future of this nation is by investing now in the development of African American young people. This book makes such an investment. I applaud Joel Freeman and Don Griffin in undertaking this very vital project." "After a few generations away from Africa, losing one’s culture means taking or killing the root of the tree, which deadens the tree. 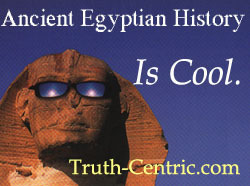 But God, the author of truth, will always reveal that which is hidden -- African History and it’s influence on the world. There has been a fight to regain the lost image of a rich history and gain the dignity of a nation that through its people were, in this country, forbidden to be African and not allowed to be American. Don Griffin and Joel Freeman have added another piece to the puzzle of all the hidden pieces that God is putting together. Thank you Don and Joel for this treatise!" "Return to Glory is an idea whose time has come. I believe that the work will be an effective tool for not only enlightenment to African American youth, but also healing in the church. Don Griffin and Joel Freeman have brought to the kingdom for such a time as this." "Return to Glory is an informative, thought-provoking book that everyone should read with openness." The glory days of boxing in the Heavyweight Division, I still remember it well. One event in particular I will never forget. A great African American boxer by the name of Muhammad Ali stuns the sporting world. It’s 1974. The "Rumble in the Jungle." Everyone in the jam-packed stadium in Zaire, Africa, is sitting on the edge of history. Ali is a 4-to-1 underdog. Foreman seems invincible. Some are thinking Ali will be lucky to escape with his life. Eight tension-filled rounds later, the place flips out. The upset happens. Ending the fierce battle with a crushing right, Ali defeats George Foreman by a knockout! During the post-fight interview, Ali looks into the camera, proclaiming to the world, "I am the greatest of alll tiiime!" He was some fighter. I think he is deserving of the title, "The Greatest!" He declared it many times and then backed it up with his unshakable mental toughness, with his trademark "Rope-A-Dope," and with his fists. I respect that. Other fight fans think Mike Tyson, Joe Louis, Joe Frazier or others deserve that title. So, you can imagine, I have been in a couple of lively discussions over the years on whom truly deserves to be called "The Greatest." The greatest? Let’s turn a sharp corner here. How about the greatest rip-off of all time? What’s that all about? The book you now hold in your hands contains research exposing what we (Don and Joel) believe to be one of the greatest rip-offs of all time. Like the greatest in boxing, this is a hotly debated topic. We warn you. This is a challenging, probing book. Study it carefully. You may read stuff that you’ve never heard or considered before. You may be rocked by emotions that will land you on your back momentarily. You will be invited to change your way of thinking in areas you may have never explored before. Sometimes the ride may get bumpy. One thing is for sure – you will experience a powerful stirring in your heart. Bottom line. As in most things, you will have to make up your own mind. But all we ask is one thing: Read the whole book before you make up your mind. The title of this chapter begs the question: Who got ripped off? Would you believe that YOU did? That’s right. People who rip off folk tend to target certain victims. In a larger sense, the victim we’re talking about is an entire race – black people all over the world. But what was stolen? Important question. The missing item is a large segment of their past, a glorious past – an ancient history that belongs to them but which was craftily snatched and given to others. To remove the legacy of an entire race from the minds of the masses is a tremendous act of deception. We call it "the greatest rip-off of all time." About two years ago, I (Don) was awakened to the truth of the glorious past of my people. I discovered some things that blew my mind. In my research, I unearthed the surprising truth that the first and greatest civilizations designed by humans were the inventions of the black man. The genius and creativity of black people go back to the dawn of human history. How did school treat you? Did somebody say you couldn’t be a scientist, engineer, or author of books? I hope not, because your ancestors were the first to invent science, engineering, and writing. But that’s not all. Blacks were also the first to discover medicine, architecture, astronomy, engineering, agriculture, banking systems, and much more. Instead of being a debtor to humanity, black people were the foundation, the very spring, from which civilization as we know it has flowed. Mind boggling, isn’t it? If you are like me, the first time you hear it, it’s easy to be skeptical. In fact, you may be dealing with some serious doubt right now. I simply don’t believe this. This is just another form of African American propaganda. These guys are trying to pump up the sagging self-esteem of black readers. As an African American you may have been so brainwashed by white-controlled educational systems in this country that it is difficult for you to accept the truth. Hang tough, because we are going to pile the evidence right before your very eyes. We are aware that mental roadblocks keep some readers from seeing the truth. Prepare to have your mind blown. We will spend some time laying down the evidence revealing your past glory. We will also describe the reason for the black man’s fall from such a high pinnacle. Then, the good news: God’s plan for a majestic "Return to Glory." Before attempting this project, we read a lot of books and did a lot of research on this and related subjects. Later on you will be meeting some of the many black brothers we interviewed. They have a lot of insights regarding this area. Many people (black and white) are indirectly involved in this book. To them we are indebted, and to them we will always be grateful. Someone once said, "the truth, crushed to the ground, will always raise its head." Thank God that this is happening in this generation. The things you are reading in this book about black studies are part of a movement of God. Professors and scholars are revealing the truth about ancient black history. Black preachers across North America are talking about the marvelous way God used black folk in the Bible. Congratulations! If you have gotten this far, you probably are a seeker after truth. You can now avail yourself of several other books on this subject. It is our hope that Return to Glory will encourage you to get busy with your own study. As you read, some questions and reactions will begin to percolate in your head and heart. Don’t worry. When this happens, you are joining the company of many before you who have asked similar questions. Why would anybody purposely distort the history of my people? What’s the point? What do I do with the anger I feel churning in the pit of my stomach? What’s up with the cover-up? What can I do to correct this deception? In addressing these and other important questions, we (Don and Joel) will be like a well-balanced offensive machine. Working on the outside, I (Don) will be on the court busting down lies and deception with sweet jumpers from 3-point land. I want to hear you shouting and cheering, as the ball hits nothing but net. My brother, Joel, will be waiting anxiously as we take the game into the trenches. He’ll be banging the boards, posting up, and rejecting garbage as he helps us through difficult struggles on our return to glory. Are you ready for us to take you on a journey? Let’s jump into the time machine. We’re going beyond roots. Beyond Kunta Kinte. You are about to meet some serious homeboys. Homeboys you will never forget. Think back on the statement about blacks being the fountain, the very spring, from which civilization as we know it has flower. What is your immediate internal response as you read this? Do you consider yourself a seeker after truth? Would your closest friend describe you as such? Why? What are your expectations as you start this book? If you say you have no expectations, why don’t you? If you are not of African descent, what are you thinking and feeling at this point? check out Dr. Freeman's other books and videos. If you would like to participate in making the film version of Return To Glory, click here.